You’ve been working hard to spread awareness of your brand and build relationships with your customers. Now it’s time for the next step, a Youtube channel of your own. I know, you thought a great looking website, Google Ads, Facebook, Instagram account, and Twitter were enough, here comes the undeniable stats about the importance of Youtube videos. If you're on the fence about creating a successful Youtube Channel here’s some reassuring reasons from Statista. 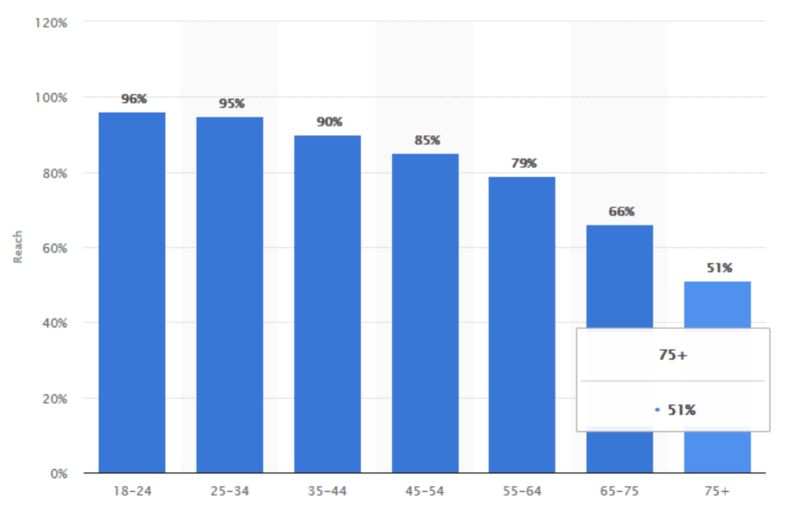 This graph shows the percentage of Youtube use for Americans on the internet by age group. Thinking you can post one video that goes viral and launches your business into the stars is like planning your retirement by playing the lottery. Sure, it could happen, but the following is for smart entrepreneurs who think realistically, YOU! How do you develop a successful Youtube channel? With a fully developed strategy! You might have already defined your avatar (target market, buy persona, etc) in your business plan/model. Who is your target market? Do some research, act like your customer. What are they searching for? What do they want to learn? What types of content are they looking at? What channels are they subscribing to? What are they producing? Are they tutorials, explanations, reviews, guides, etc? How many likes, subscribers, and comments are the different types of videos producing? Make sure you are up to date on the latest trends and news in your market. The last thing you want to do is spend two weeks perfecting your video to only find out the market has moved passed your topic. Start engaging by leaving comments and subscribing to other popular and related channels. This will start to plant the seed of your authority on the subject. Give honest useful feedback, information that will help others. If you haven’t set up your account yet, click here to get started. Remember to give yourself a catchy easy to remember name. Start by utilizing your research, understanding what your viewer wants. What format is your video going to follow? Will it be educational, entertaining, helpful? What are people watching on other channels in the same market? Write your script and practice it. Practice it again. And again. A viewer will quickly stop a video if the quality is poor. You don’t need an expensive camera, just to avoid any video that is grainy or the sound quality is poor. The goal is to get your viewer to watch at least 80%. 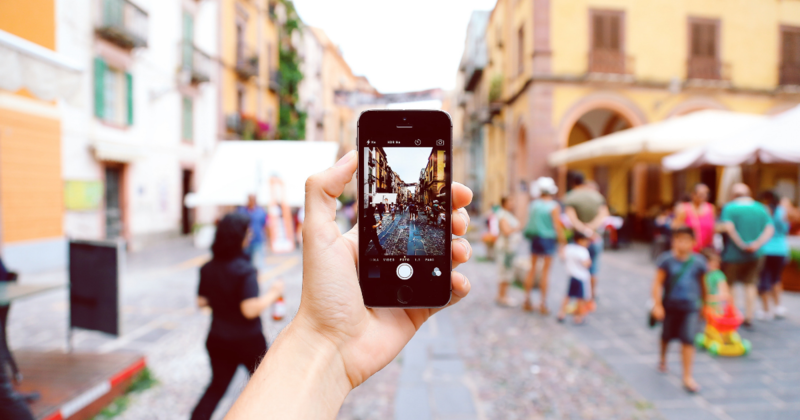 Depending on your skill level there are countless video editing apps out there. Check out Tom Wells article, 20 Best Free Video Editing Software Programs in 2019 for suggestions. Let’s face it. No matter how good your videos are you won’t get a 100% view rate. The average video is about 4.4 minutes long. Think about how many times you watched a video until the end, it’s not every time is it? I suggest making your point quickly and clearly while you have what’s left of the world’s shrinking attention span. When you are creating your content you will come to the about section. This is essentially Youtube SEO. It consists of three sections; description, tags, and title. Your description carries the most weight, utilize your keywords but don’t overstuff them. Be thoughtful with your tags. Think back to your research, what are your customers searching for? Make sure to include your primary keyword in the title. You’ve invested a lot of energy in creating multiple channels of exposure for your business. Put them to work for each other. Spread the word, share links, create a trailer video. Put your videos on your website on Facebook (if embedded it will still count as views on Youtube). Blog about it, scream it from the rooftops! Ultimately, the purpose is to build sales. Make sure you give the viewer a reason to click through. And just as important, the ability to. Use small banners with links, clear direction with intent, just don’t be/look pushy. If you want to develop a following of loyal subscribers you need to offer consistent content. There’s no point in creating a channel if you’re only going to post something every now and then. Give your subscribers something to look forward to, on a regular schedule. You will get two types of feedback; time wasting trolls and honest viewer feedback. There’s not much to do about the trolls, they just try to get a rise out of someone. The honest feedback from viewers should be treated with great care. They either are your customers, or are potential customers. Don’t just post a video and forget about it. If someone is taking the time to give you honest feedback you should embrace it. I look it as a guest in a restaurant. You may go there for the food but you go back because of the whole experience; you had great service, you felt appreciated, the owner came and talked to you, and so on. Like there isn’t enough analyzing data with everything you are already doing, I get it. It doesn’t change the fact that it’s incredibly important to constantly evolve. Utilize the tools available to tweek and tune your output so you’re building the best channel you can. Check out Youtube Analytics to learn more. Creating your own Youtube channel can be very rewarding and could take your business to a new level. Do your homework. Make a plan. Execute it. Have fun but treat it like a business. Engage with your subscribers, learn from them and build relationships. Learn from what worked and what didn’t. Do more.